Jimmy Barnes is known as the King Of Australian Rock. His style is a unique mix of rock and soul, which coupled with his great singing ability and extraordinary range , makes him a very popular figure in the Australian music industy. Jimmy Barnes (born April 28, 1956 as James Dixon Swan) is a popular Australian rock singer. Barnes was born in Glasgow Scotland but moved to Australia with his family at the age of six. Jimmy Barnes (born April 28, 1956 as James Dixon Swan) is a popular Australian rock singer. Barnes was born in Glasgow Scotland but moved to Australia with his family at the age of six. He first came to attention as the lead singer with popular Australian pub rock band, Cold Chisel, which he joined in 1973 and with whom he recorded seven albums between 1978 and 1983. When the band split up in December 1983, he launched a solo career almost immediately with his first album Bodyswerve entering the Australian charts at Number One. It was the first of a remarkable run of top charting albums for Barnes, as each of his first six solo albums all debuted in the Number One position, a feat that no other Australian artist is likely to match. In 1986, Barnes recorded two singles with INXS, duetting with that band's singer Michael Hutchence on the Easybeats cover "Good Times" and "Laying Down The Law", which was co-written by Barnes with INXS members Andrew Farriss and Hutchence. "Good Times" was used as the theme song for the Australia Made series of concerts that toured the country in the summer of 1986 - 87. Both songs later appeared on the soundtrack of classic '80s teen vampire film The Lost Boys. Barnes' unique vocal style has long polarised audiences. Possessed with a voice of incredible power and volume, once described as "like a cross between John Fogerty and an angle grinder", his detractors suggest that much of his work is little more than screaming, and certainly his over-the-top rendition of the Percy Sledge classic "When a Man Loves a Woman" from the 1987 live album Barnestorming would support this argument. A more objective view of Barnes' style however reveals a voice of enviable range and character and his later blues, soul and acoustic-oriented albums display a widely diverse vocal ability adaptable to virtually any style. In an interview with Andrew Denton?, Barnes revealed that a doctor told him that when Barnes sings, he makes use of his false vocal cords rather than his true ones. Barnes was not consciously aware of this at the time. Following the death of Michael Hutchence in 1997, Barnes appeared live on stage with INXS at some shows throughout Australia between 1999 and 2001. His latest album Double Happiness, released in July 2005, reaffirmed his popularity, debuting at #1 on the ARIAnet Albums Chart, his seventh album to do so. 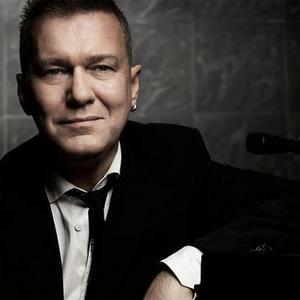 Jimmy Barnes was inducted into the ARIA Hall of Fame on the 23rd of October, 2005 for his solo career efforts. Coupled with Cold Chisel's previous induction, Barnes is the only artist to be entered into the Hall of Fame twice. Barnes is also the father of singer David Campbell, who recently starred in the Australian production of the musical Sunset Boulevard and was a contestant on the Australian television program Dancing with the Stars. The two perform the duet "Wichita Lineman" together on Double Happiness.